This tiny house is actually a park model. However, due to its square footage of living space, it still falls under the tiny house category. 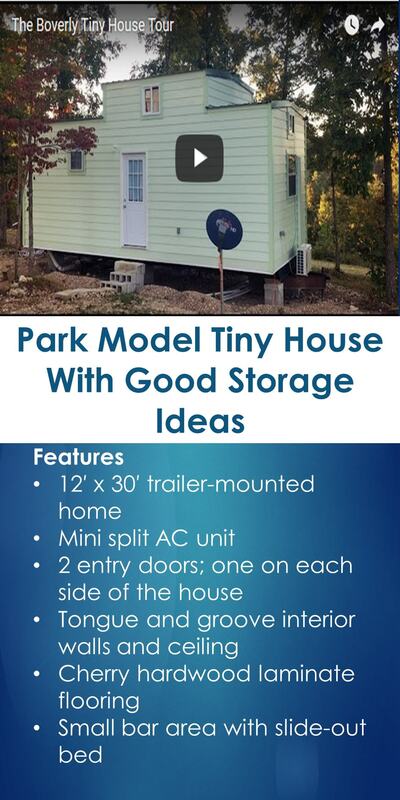 This house has a lot of the standard features expected in a tiny house with a good amount of storage ideas.